Facilitative effects and plant–plant interactions are well known for higher plants, but there is a lack of information about their relevance in cryptogams. 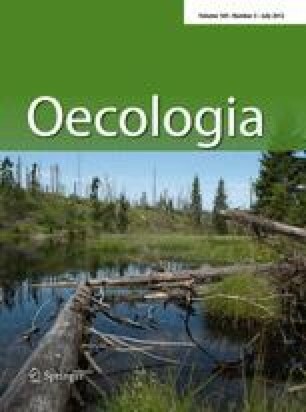 Additional information about facilitative effects between bryophytes and lichens would be an important contribution to recent research on positive plant–plant interactions, as these can have striking influences not only on the organisation of early successional terrestrial communities but also on succession dynamics by kick-starting ecosystem development through the import of key nutrients. We investigated and quantified these mechanisms between Peltigera rufescens and its associated mosses. Moss-associated thalli had a different morphology that led to several benefits from the association. They had 66% higher net photosynthetic rate and, because the majority of the gas exchange of lichen thalli took place through the lower surface, there was a further increase as the CO2 concentration was >25% higher beneath moss-associated thalli. Microclimatic measurements showed that mean light levels were substantially lower and temperature extremes slightly ameliorated for moss-associated thalli. As a consequence, desiccation was slower which is, together with an increase in thallus thickness and water storage, the reason for extended periods of optimal net photosynthesis for the moss-associated thalli. All these benefits combined to produce a growth rate of the moss-associated thalli which was significantly higher, twice that of non-associated thalli [0.75 ± 0.4 vs. 0.30 ± 0.1 mm/month (mean ± SD)]. This appears to be the first demonstration of a strong mechanistic basis for facilitative effects between lichens and bryophytes. We thank the Basalt-Actien-Gesellschaft Südwestdeutsche Hartsteinwerke (Kirn, Nahe) for the permit to work in the stone quarry. Hans Reichenberger is thanked for help during CO2 exchange measurements. T.G.A.G. was supported by the Spanish Education Ministry grants POL2006- 08405 and CTM2009- 12838-C04-01.